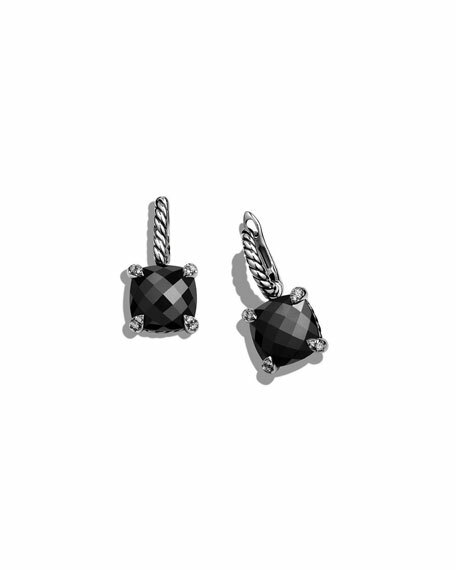 David Yurman earrings from the Châtelaine® Collection. Twisted sterling silver rope stem. Pavé diamond prong setting; 0.1 total diamond carat weight. For in-store inquiries, use sku #1658741.